Alex Fitness is one of the fastest growing international fitness brands. Alex Fitness currently operates over 60 clubs in cities all over the world. 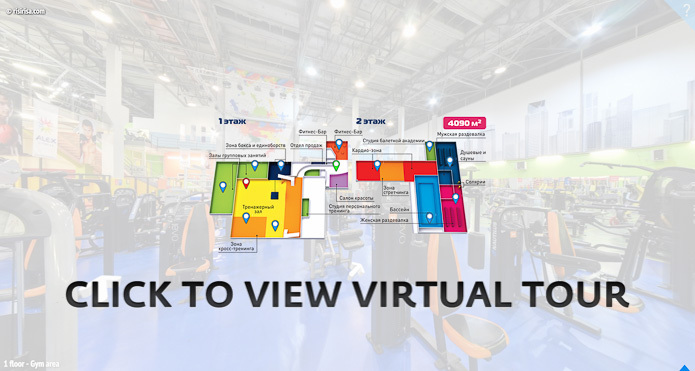 On this page you can view virtual tour of Alex Fitness club “Kolomenskoe”. and we will develop for you an individual solution, allowing to achieve the desired result. We’d love to hear from you. This form is the best way and we do get back pretty quickly. Alternately, call 646.520.5367 to speak to someone as soon as possible.